Vinyl Index will provide the soundtrack for Bow Market. Think of us as a vinyl library you can shop in. 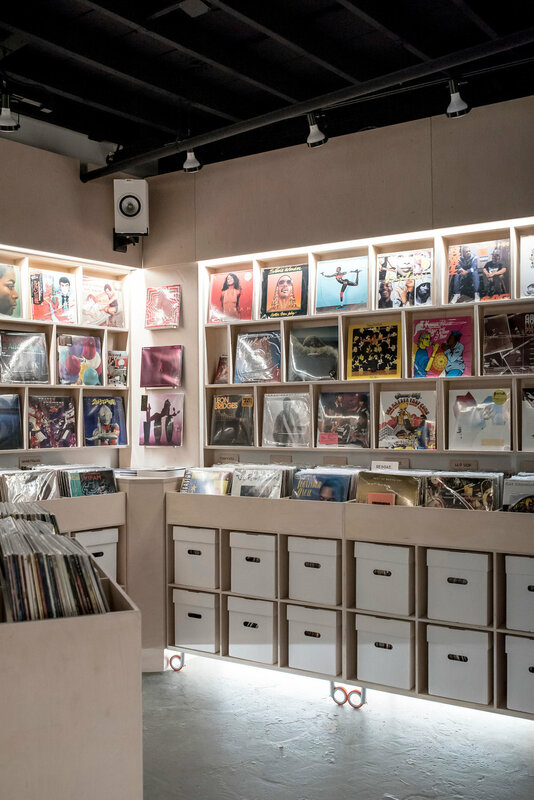 Just like a traditional library is known to be a public facility and service that helps you research important information, Vinyl Index aims to be a hub for all types of music fans to discover albums on vinyl. From hand-written notes on albums to a vinyl cleaning service to our knowledgeable staff, Vinyl Index is a full service record store. 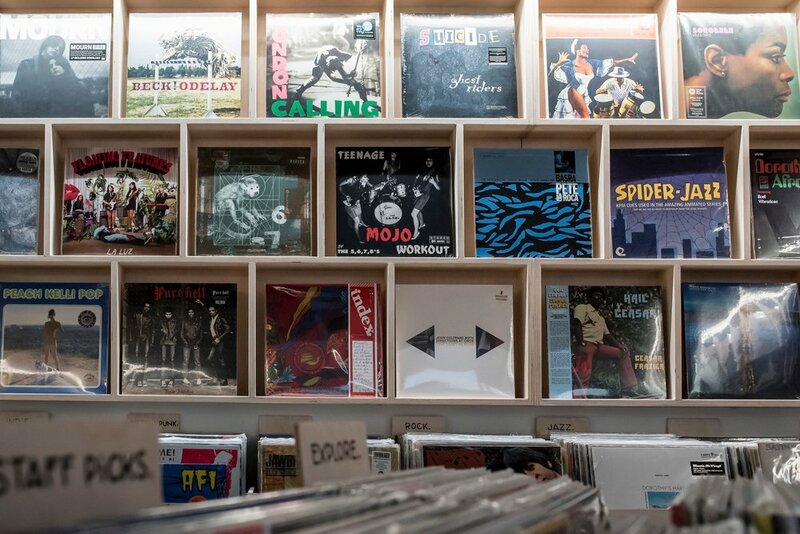 In store, we’ll offer rotating inventory of hand-picked, new & used records across all genres. With veteran DJ and producer George “7L” Andrinopoulos at the helm, you can trust that each album is exhaustively selected with love and care. Outside in the courtyard, we’ll host special events and themed weekends that connect local artists, makers, and neighbors through music. Each of us has a deep connection to music. Depending on what your scene is, you may know us as the people who brought you CZARFACE, Get On Down, UGHH, and Good Life. Between all of us, we have decades of experience listening to, making, marketing, and most importantly, loving music. Vinyl Index is the culmination of countless conversations we’ve had about opening a brick & mortar vinyl record store. Our vision is to create the type of record store we have all been yearning for in the Boston area—one where the quality of product, presentation and communication make us stand apart. Union Square has been able to maintain a local, diverse atmosphere and we think Bow Market continues that tradition and sets a tone for the future development of the square. Grab a record that plays along with a look from We Thieves vintage clothing store...and don't forget to ask Sandra about her college radio DJ days! There is always a perfect pairing to any kind of music. We will be sparking nostalgia with all the Bow Market vendors to bring endless, music inspired collaborations to you. To learn more about Vinyl Index or to get in touch with George, Jeremy, and Peter, visit their website.